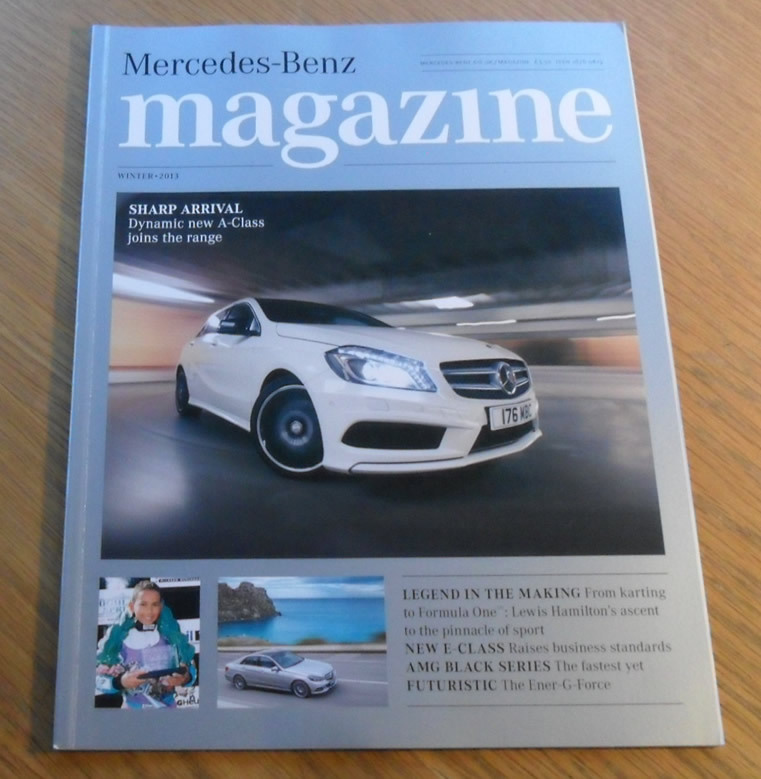 Winter 2013 issue of the British Magazine, Mercedes-Benz. Each issue has a variety of features, car road tests, mechanical how-tos, lifestyle articles and articles about Mercedes cars. The features in this issue are the new A-Class, Lewis Hamilton, AMG Black series, new E-Class, plus many more.